The 1250i is built in vinylesterresin. This material provides a stronger rigidity and major tightness against water and vapour. Together with NPG gel coat it constitutes the most efficient protection against osmosis. Rigidity of the hull is additionally reinforced by the combination of the inner with the outer shell. This is realised by involving the bulkheads and parts of the interior; the inner shell here is completely laminated to the hull and the bulkheads. Result is an increased suspension stability of both the water and Diesel tanks, as well as a notably stronger rigidity of the hull. Also, the inner side of the hull is finished with top coat for additional protection. As standard, the ship is delivered with white gel coat. Unique feature with a C-Yacht is that you can choose individual colours for your yacht. No matter if you choose a different colour for the hull or for the stripes on it, everything is possible at C-Yacht. The entire hull including its underwater part and the deck are realised as a sandwich type of construction. The material we use for that sandwich construction has a closed cell structure. This makes the ship not only stronger and lighter, but provides it with good insulation, too. As result, you will feel more comfortable aboard the 1250i. The C-Yacht 1250i per default comes equipped with a double collision bulkhead. These bulkheads serve as watertight, separate compartments, able to catch water in case of a collision, but without letting the water get into the ship’s interior. The main and aft bulkhead consist of a Vinylester Sandwich Composite Structure (VSCS) and are veneered horizontally (CLASS edition). 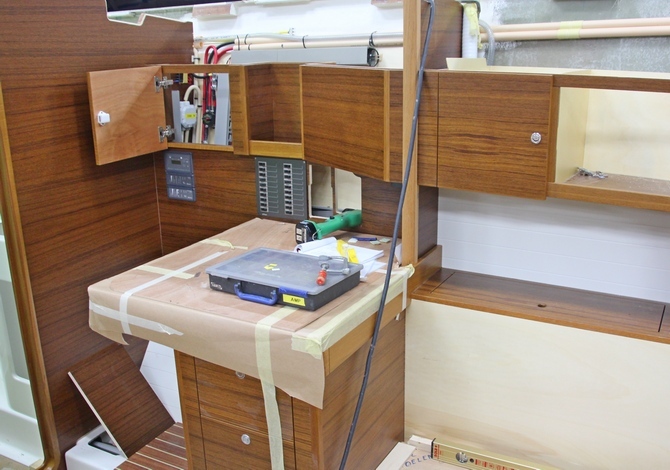 The bulkhead is laminated to the hull, all around, to the deck and to the inner shells. This technique results in an exceptionally rigid and homogeneous construction. The keel is suspended within a very rigid keel construction. The combination of that keel construction and the inner shell together with the over dimensioned stringers has the effect of a composite frame and makes the ship extremely rigid. The entire hull is made of vinyl ester and is realised as a sandwich type of construction. Vinylester resin is much stronger compared to the formerly used polyester. It also provides high resistance against osmosis. 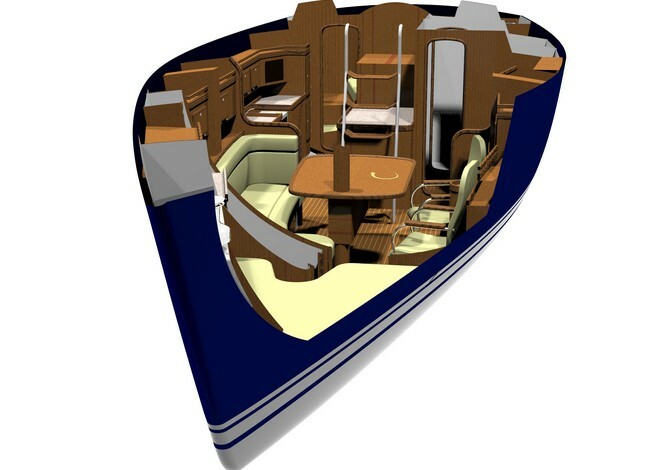 The C-Yacht 1250i was developed with the help of the youngest 3D design programmes. C-Yacht technicians and designers ensured that all elements aboard were optimally positioned and easy to reach. And of course it also meant to ensure that both installation and maintenance of those elements would be as easy as possible, too. Each C-Yacht per default is delivered with a separate battery storage system; for the engine and for the appliances respectively. These high-quality battery storage systems require no maintenance. Also, each of them is equipped with its own ventilation, leading outside. This ensures that any gas, where created, won’t get into the ship’s interior. Adding a storage battery at a later time is easily done. Per default, the water tank consists of two separate components which are centrally positioned inside the ship. Both tanks can be filled and used independently from each other. The availability of fresh water will therewith be facilitated. The Diesel tank is centrally situated inside the ship, on the floor, in front of the engine. The storage batteries are partially positioned inside the floor, shortly before the Diesel tank. All heavy components therewith provide an optimal weight distribution during a cruise. And that results in extra comfort and sailing pleasure. 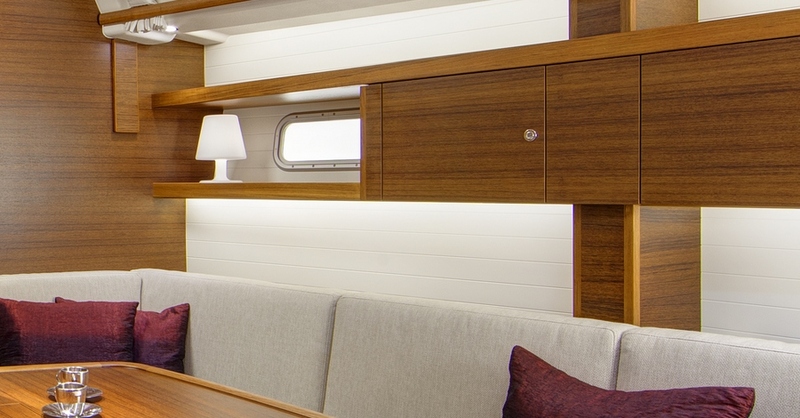 Per default, the C-Yacht 1250i is delivered with LED illumination, for a less energy use. Apart from this you can also choose among a large offer of indirect and night illumination elements, for both inside and outside areas of the ship. The engine compartment is provided with high quality insulation. The well-lit engine compartment is accessible via 3 hatches to facilitate an easy control of the service. 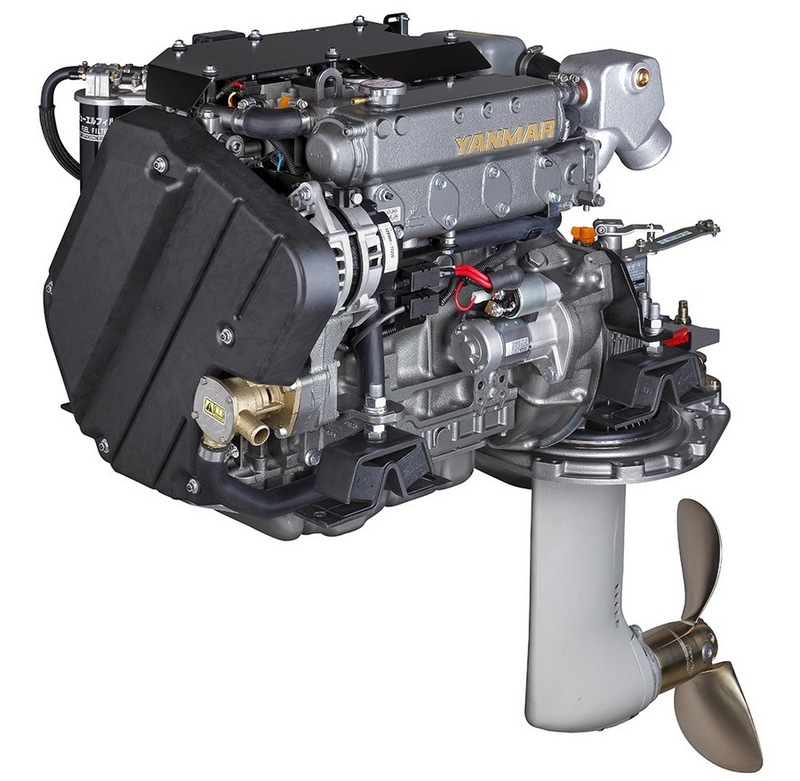 Per default, the ship comes equipped with the newest Yanmar 57 hp Common Rail engine. The direct injection system of that engine results in less Diesel consumption and a more silent operation. The electronic engine management can easily be connected to the plotter or to the MFS (multifunctional display). The standard version of the engine offers sufficient charging capacity (standard 125A / 12V). A secondary 12V dynamo is optional. The engine fulfils the emission requirements EPA Tier 3 and EU RCD 2 (2016). The newly designed saildrive system with its double membrane per default is equipped with a 3-blade Flexofold 3 folding propeller.